The oldest empire of Azeroth, the Zandalari are powerful trolls who bargain with fearsome loa and whose navy is unmatched on the Great Sea. Natal'hakata can be found inside the Great Seal in Dazar'alor. 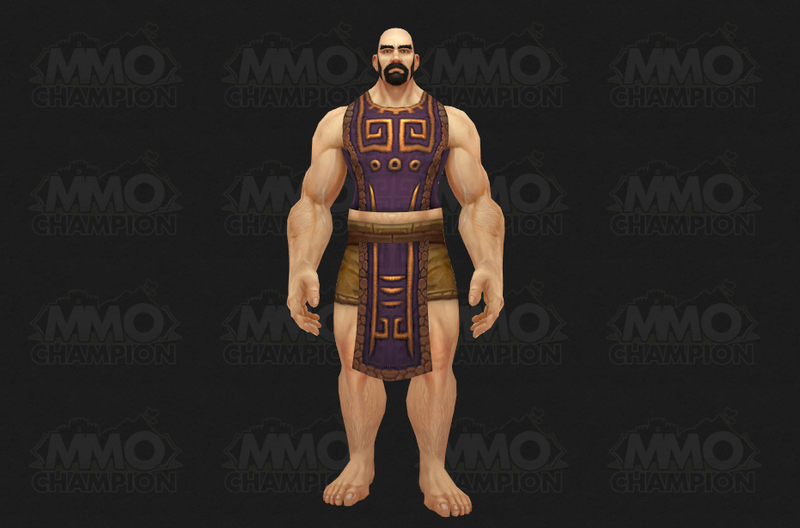 Upon reaching exalted with the Zandalari Empire, you can purchase Tabard of the Zandalari Empire for 10 gold at Natal'hakata. Notable items include the Reins of the Cobalt Pterrordax. You can also buy the Party Totem at Revered. The main source of reputation for the Zandalari Empire is questing in Zuldazar. We have a list of quests that reward Zandalari Empire reputation. Certain world quests, mostly in Zuldazar, will grant you reputation with the Zandalari Empire upon completion. To unlock world quests you must reach Level 120 and complete the quest Uniting Zandalar. This means that you must also have completed the War Campaign quests up this point, which involves doing all three Kul Tiran zones' Horde quests. 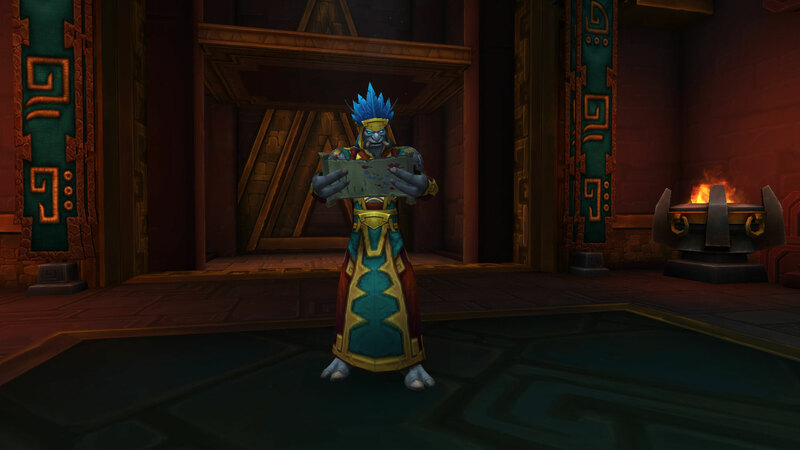 Upon reaching Friendly scribes can create Contract: Zandalari Empire for purchase on the auction house which allows you to receive reputation for the Zandalari Empire upon completing world quests in any of the Battle for Azeroth zones. Much like in Legion, emissaries will offer players rewards for completing 4 world quests for their faction. The Zandalari Empire faction has an emissary and when the emissary is up, you can complete 4 Zandalari Empire world quests within 3 days to receive 1,500 reputation and an emissary cache. Much like in Legion, your mission table can periodically have missions that reward reputation with certain factions, including the Zandalari Empire. At certain points in the game, various events can take place that help increase reputation gains. Much like in Legion, during World Quests Bonus Event week you will receive 50% more reputation from completing world quests in Zandalar. While the Darkmoon Faire is active each month you can purchase a Darkmoon Top Hat for 10 Darkmoon Prize Tickets. You can also ride the carousel at the Faire for the WHEE! buff which grants the same benefit. Both of these buffs are lost upon death and do not stack.